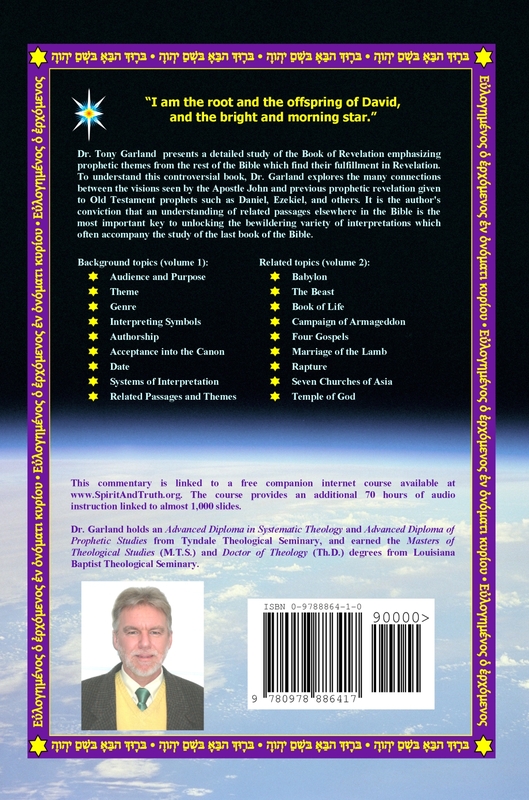 Tony Garland presents a detailed study of the Book of Revelation emphasizing prophetic themes from the rest of the Bible which find their fulfillment in Revelation. To understand this controversial book, the author explores the many connections between the visions seen by the Apostle John and previous prophetic revelation given to Old Testament prophets such as Daniel, Ezekiel, and others. It is the author's conviction that an understanding of related passages elsewhere in the Bible is the most important key to unlocking the bewildering variety of interpretations which often accompany the study of the last book of the Bible. providing an additional 70 hours of audio instruction. The commentary is available in both free and pay-to-purchase versions. Pay-to-purchase versions provide additional convenience features such as hardback binding, wireless electronic delivery, and integration with Bible study readers as provided through external vendor stores such as Amazon, Logos, Biblesoft, and Google. revci.htm Read the commentary on the Web. 5.htm Companion course providing 70 hours of audio instruction. Purchase via online booksellers. The first of two volumes. Approximately 600 pages, 7 x 10 inch trim size. The following errata apply. Purchase via online booksellers. The second of two volumes. Approximately 600 pages, 7 x 10 inch trim size. The following errata apply. Purchase A Testimony of Jesus Christ as part of a collection of six commentaries on the Book of Revelation for Logos Bible Software. Purchase an individual copy of A Testimony of Jesus Christ for Logos Bible Software. 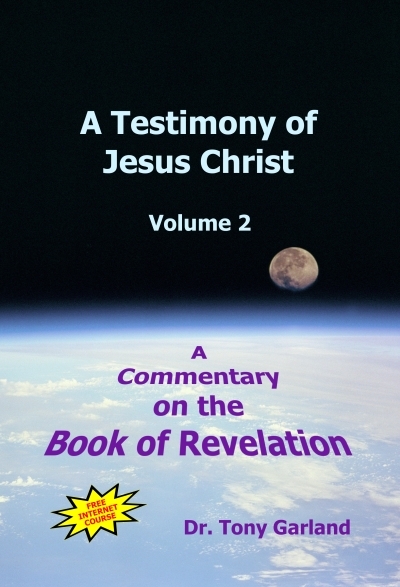 Purchase a copy of A Testimony of Jesus Christ for PC Study Bible (Biblesoft) Software. TestimonyOfJesusChrist.html.zip Download the most up-to-date Web version to your own computer for offline use. Adobe Acrobat format suitable for printing and binding. The first of two volumes. Approximately 600 pages, 7 x 10 inch trim size. The following errata apply. Adobe Acrobat format suitable for printing and binding. The second of two volumes. Approximately 600 pages, 7 x 10 inch trim size. The following errata apply. Mobi format suitable for reading on mobile book readers such as Amazon's kindle. This version may also be purchased for wireless delivery directly to your kindle reader through Amazon.com. 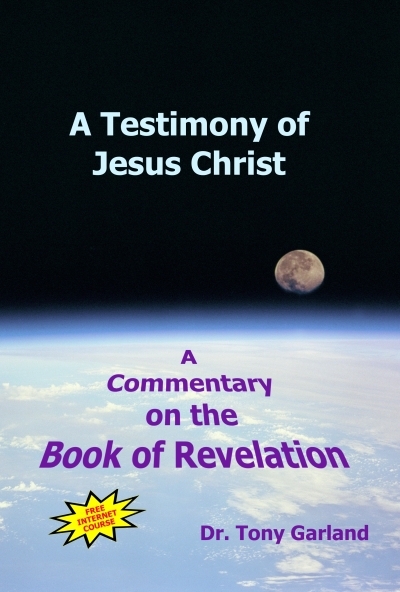 TestimonyOfJesusChrist.epub Epub format suitable for reading on mobile book readers such as the Nook. TestimonyOfJesusChrist.ss.exe For use with the version 4.X of the SwordSearcher Bible study program. TestimonyOfJesusChrist.es9.exe Self-installing ZIP for use with the free e-Sword Bible Study Software. NOTE: This version only works with e-Sword version 9 and greater. See below for the version which is compatible with earlier versions of e-Sword. TestimonyOfJesusChrist.es.exe Self-installing ZIP for use with the free e-Sword Bible Study Software. NOTE: The commentary anticipates features which are not supported by version 7.1.0 of e-Sword. In particular, hyperlinks within the commentary to images and the associated audio course may not function until a future version of e-Sword supports hyperlinking within dictionary modules. 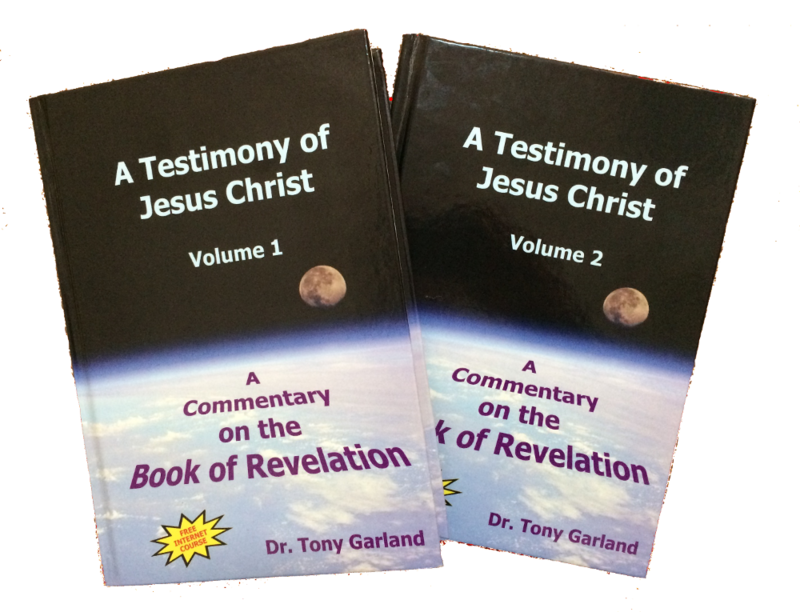 TestimonyOfJesusChrist-1.26.tw.zip ZIP containing commentary and dictionary modules for use with the free TheWord Bible Study Software. TestimonyOfJesusChrist.opf.zip Libronix Personal Book Builder project and source files, tagged for input to the Libronix Personal Book Builder. Suitable for compiling by who have purchased the Libronix Personal Book Builder to generate private books.